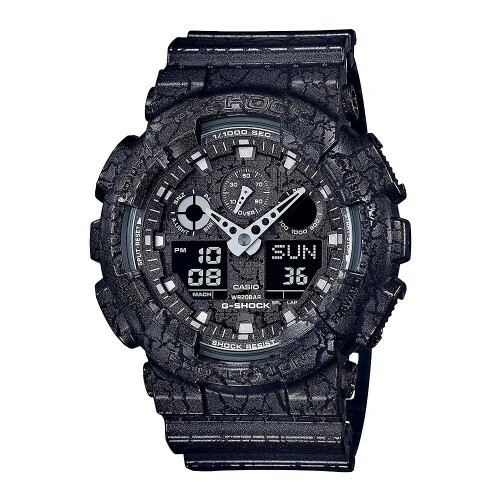 From G-SHOCK, the watch brand that is constantly setting new standards for timekeeping toughness, comes the Cracked Pattern that combines a large face motif with the G-SHOCK spirit of toughness. The uneven surfaces of the case and band are made possible by using new technology. A coating is applied over the resin, which is then exposed to a cutting laser to create a surface of ravines and valleys.